There is currently a sale on five great indie titles on the Xbox One; with two of these titles also discounted on the Xbox 360. Read on for more game titles, sale information and links to XBLA Fans coverage of the games on sale. Nutjitsu was developed and published by Ninjabee. It was released May 8, 2014 on Xbox One for $6.49. An Xbox One copy was provided for review purposes. Nutjitsu is, quite simply, a mobile game. It has all the makings of a great iOS or Droid game: its top-down repetitiveness is perfect for wasting time in a doctor’s waiting room or in line for a cup of coffee. 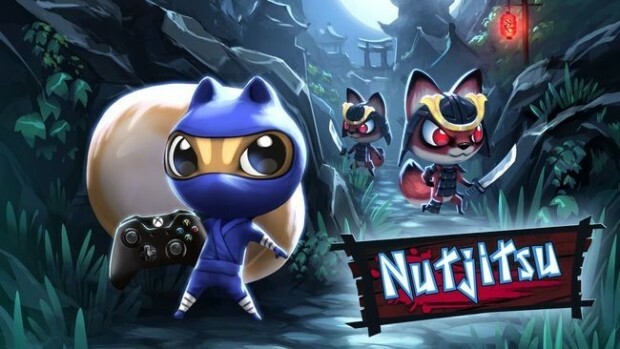 Nutjitsu is simple and fun for five minutes at a time, but this version XBLA Fans reviewed is not for mobile devices; it’s for Xbox One, which is the game’s ultimate downfall. Nutjitsu is clearly inspired by Pac-Man. The player, assuming the role of an adorable ninja squirrel, must collect acorns of different colors that denote different point values all while avoiding equally adorable ninja foxes. The game is divided into two modes. 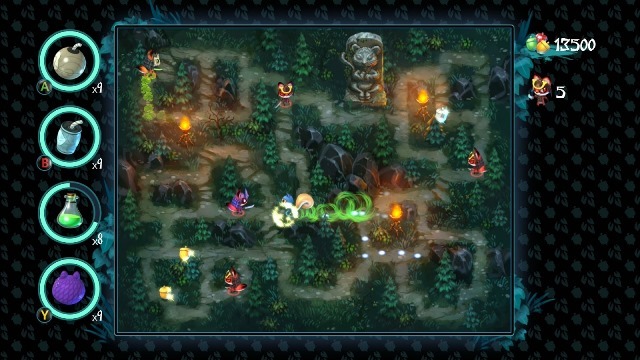 Mission Mode requires the player to complete random objectives on a randomly selected map, such as collecting a certain amount of scrolls or collecting acorns of a certain color. 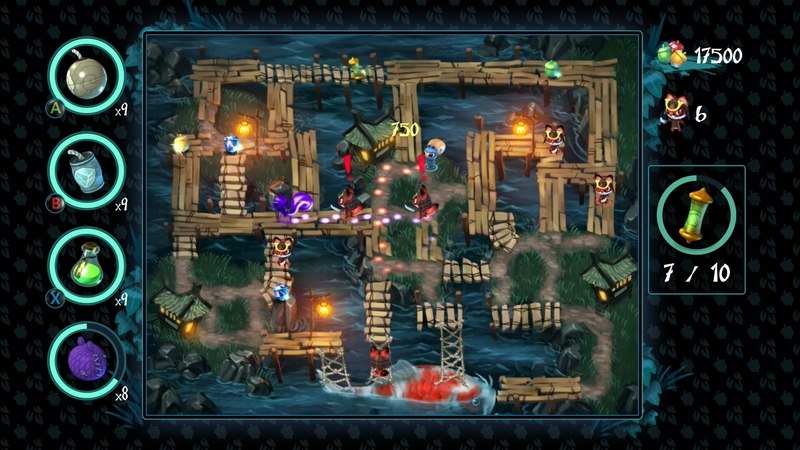 Survival Mode simply asks the player to survive as long as possible without being attacked by the foxes and while racking up a high score. Various power-ups are thrown into the game, like speed boosts and freeze blasts, to spice thing up and give you the upper hand. The game doesn’t boast much more than that, leading to a lackluster experience. NinjaBee announced today that its game Nutjitsu! has been given the go-ahead by Microsoft to release on the Xbox One this Thursday, May 8. Is this concept art from NinjaBee’s next project? Purser offered no further details in person and hasn’t responded to our email query asking what exactly we’re looking at in these photos. It’s likely that they are concept art from NinjaBee’s next game, especially considering that Nutjitsu for Xbox One is now content complete. The four photos, which you can view by clicking inside, contain imagery of what appear to be “top secret” plans for a mech; a scientist posing next to a giant fang in an airplane hangar; a Loch Ness Monster-type creature; and a World War II soldier aiming an artillery canon at a giant one-eyed beast. 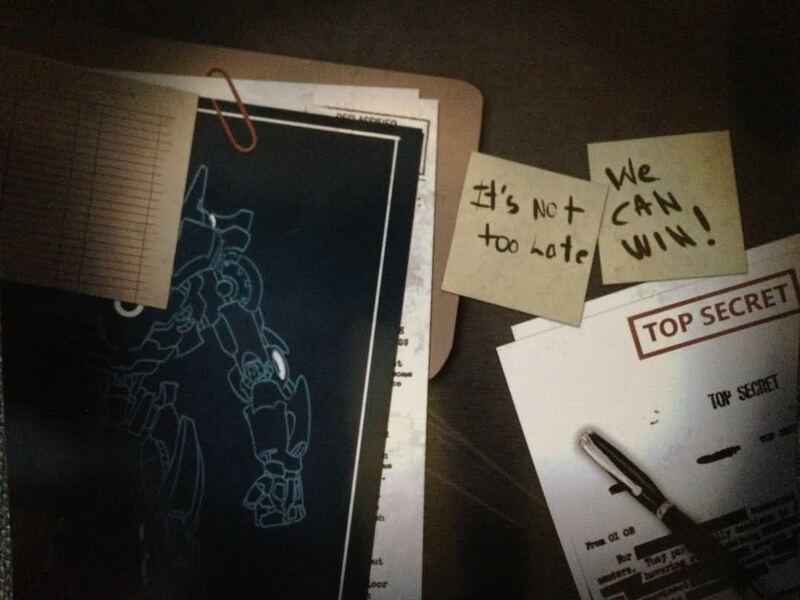 We don’t know for certain what these Pacific Rim-esque pictures mean, but it’s possible NinjaBee is attempting to use the media to help it start a viral marketing campaign leading to the announcement of its next project. Nutjitsu has been submitted to Microsoft to be run through the console holder’s certification process, developer NinjaBee informed XBLA Fans this weekend at the PAX East video game convention in Boston. Although games sometimes run into issues during certification that cause them to be rejected and resubmitted once those issues are resolved by the developer, NinjaBee Public Relations and Marketing Specialist Michael Purser says he expects Nutjitsu to release shortly on Xbox. Purser added that the studio is targeting a $5 price point for the game. XBLA Fans was able to go hands-on with the title at PAX East, playing four of its 15 stages. Taking control of a ninja squirrel, we were required to either spend a specific amount of time on highlighted parts of the map in a king-of-the-hill-styled mode; collect acorns and deposit them into a sack; or pick up five scrolls to achieve victory. @GeorgeTeV @Lambent_Ewok I think you will with @ID_Xbox. Played 2 of the first shipping games, a Worms game n Nutjitsu, right before DICE. We’re late, and it seems that’s become somewhat of a trend for us lately. 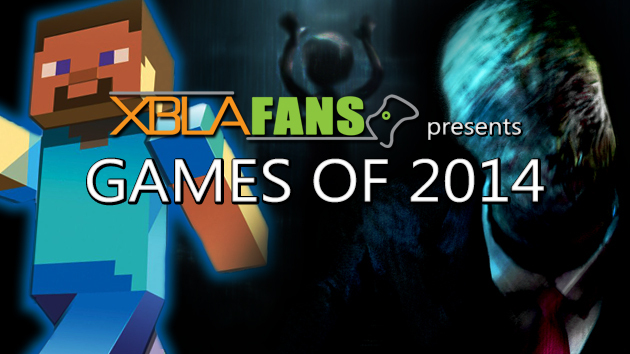 Our Game of the Year awards weren’t doled out until January, and now our look forward at the XBLA and Xbox One XBLA-type games of 2014 is just making its way to you in February. You were on your own when it came to planning out January’s releases, but now it’s time for our annual look ahead at the top downloadable games likely to arrive on an Xbox platform during the (remainder of) the year ahead. Read on to find out what you can expect out of Xbox over the next (not quite) 365. As was announced at Microsoft’s E3 2013 presentation, 4J Studios will be bringing its open-world block-building game to the Xbox One. 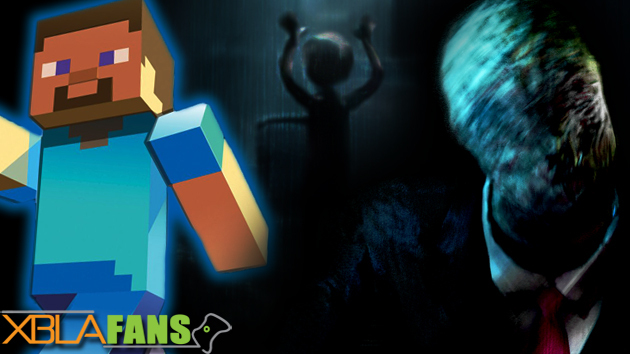 The 360 edition of Minecraft was a huge success and 4J is looking to build off of that success by bringing a “bigger” world to players. 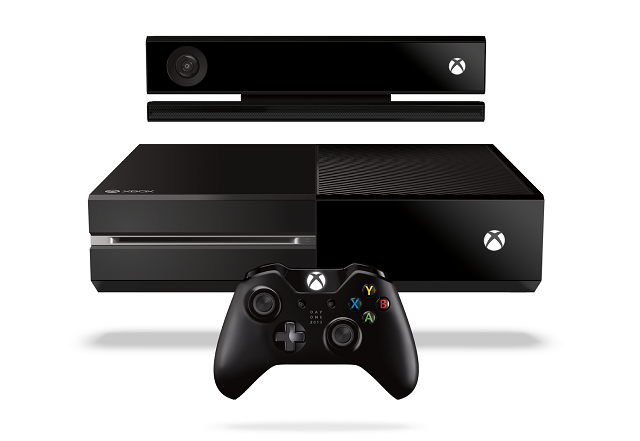 The Xbox One edition promises to deliver on the power of next-gen gaming by giving players more of what they want. Maps, Adventures, multiplayer features and console specific enhancements will all be improved and larger in scale on the Xbox One than they were on the Xbox 360. Minecraft: Xbox One Edition will be released sometime in the month of March of 2014.